The Swift Green Filter SGF-ZS48 (4204490 comparable) refrigerator water filter produces cleaner, better tasting drinking and cooking water. 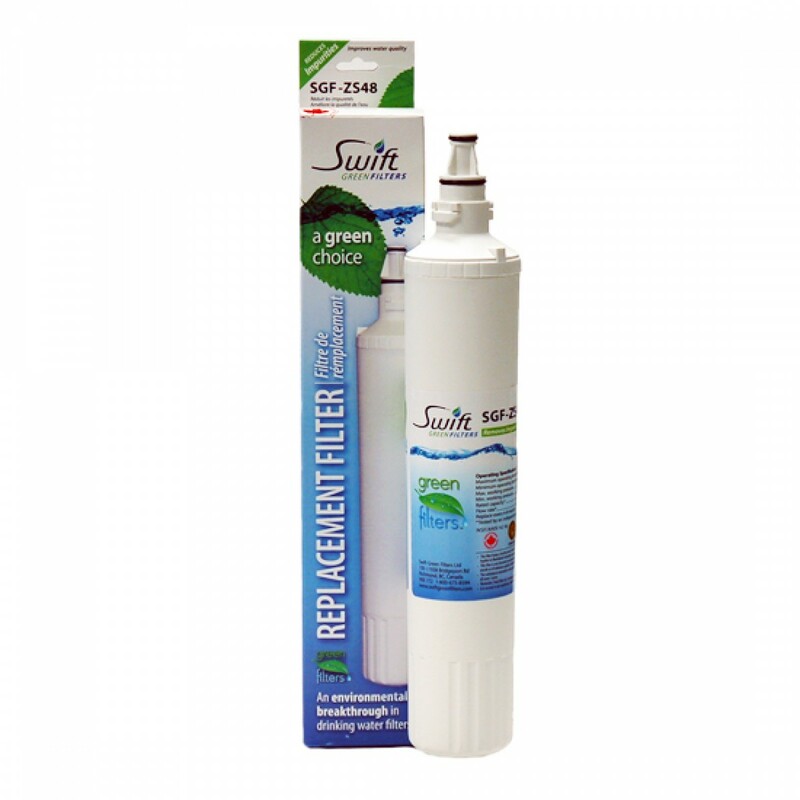 The Swift Green Filter SGF-ZS48 reduces chlorine, taste, and odor. The Swift Green Filter SGF-ZS48 does not remove Fluoride. The Swift Green Filter SGF-ZS48 replacement cartridge is NSF/ANSI 42 Certified. 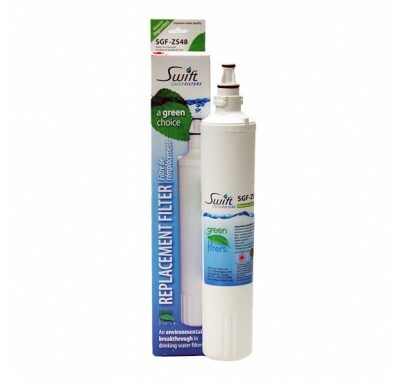 Why choose Swift Green Water Filters? Compared to conventional carbon-based filters, Swift Green Filter products are environmentally friendly. Conventional carbon filters are produced by a burning process called open pit charring which releases pollution and greenhouse gas emissions into the air. Green Filter components are produced with a new technology that carbonizes dried coconut shells in an enclosed self-sustaining system while capturing and converting the emissions into useful thermal energy.